From the right to the left, the students Weijia Wang (China) from the College of Education, Ricardo Pedregal (México) from College of Engineering, Max Schneider (Ukraine) from department of Statistics, and Francisca Gómez (Chile), from the department of Sociology, participating in the student panel. The relationship between advisers and advisees is considered one of the most crucial interactions in graduate education, particularly at the doctoral level. While the number of international students that come to the United States to pursue doctoral degrees continues to grow (10% of graduate students at University of Washington-College of Education are temporary visa holders), one key issue that needs to be considered by advisors and student support offices is the experiences that international students bring as advisees in other countries. What are students used to in regards to advising? Would international students be better off if they knew in advance how similar/different the US culture in graduate education is in comparison to what they have experienced before? CIRGE and two student organizations from the College of Education (International Educators at the College of Education & Teacher Education and Research Interest Group) at the University of Washington co-hosted a student panel on adviser-advisees relations in higher education the past October 17th. The panel was composed by UW international graduate students coming from countries such as China, Chile, Mexico and Ukraine, and who are studying at different departments across campus. The event, which was also supported by the Office of Student Diversity and Inclusion of the College of Education, allowed to see differences and commonalities between being an advisee in countries whose educational model is highly influenced by the Confucianism philosophy versus educational models heavily influenced by western cultures. International doctoral students who obtained their master’s degrees in countries like South Korea and China pointed out that the image of the advisor is very close to the image of a father/mother, which is highly influenced by the Confucianism philosophy. “Professors and teachers in our countries represent an important authority, and everyone recognizes that the relationship between professors/students is a hierarchical relationship. This does not mean that students cannot have their own opinion, but the style is much more oriented to do what professors recommend us to do”, comments Weijia Wang, who is currently a doctoral student in Curriculum and Instruction from China. Soo-Yean, also a doctoral student in the College of Education, commented that her experience as a master student in South Korea was relatively similar. “In our culture, professors are seen more as authorities who are responsible for leading us in a desirable direction”. In comparison to the experience of being an advisee in the US, international students from Asia posed that one of the main differences between being an advisee in a model of education rooted in confucianism versus a US model relates to the expectation of “who” starts the conversation in the advisor/advisee dynamics. Another doctoral student from South Korea who was in the audience added that she was unaware that in order to receive support from the advisers, the student himself/herself is responsible for advocating and reaching out to the advisors. “When I arrived in the States I did not know that I needed to speak up, until after three months of being here, I realized that my US colleagues were being offered more research opportunities than me, because they were talking directly with our adviser. This is something that we do not know pretty often in South Korea, because we assume that professors will contact us if there is any research opportunity”, the student commented. 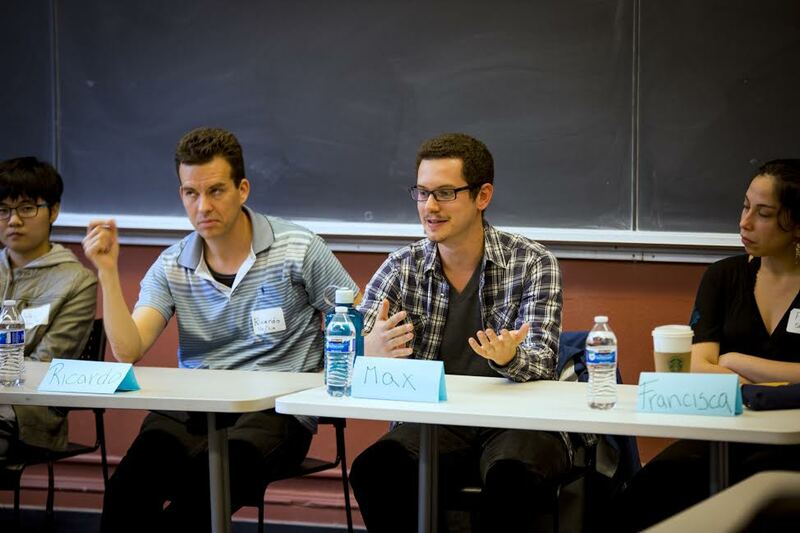 Students highlight the uniqueness of their experiences as advisees. Francisca Gómez (at the right in the pic), who studied his master in public policy in Chile, pointed out that her adviser became a close colleague and friend. “I used to discuss not only technical topics with him [adviser], but also opinions about controversial political issues in society”, Francisca adds. From a different perspective, the relationship between adviser/advisee in western European and Latin America countries seems to be more dependent on the role of students. 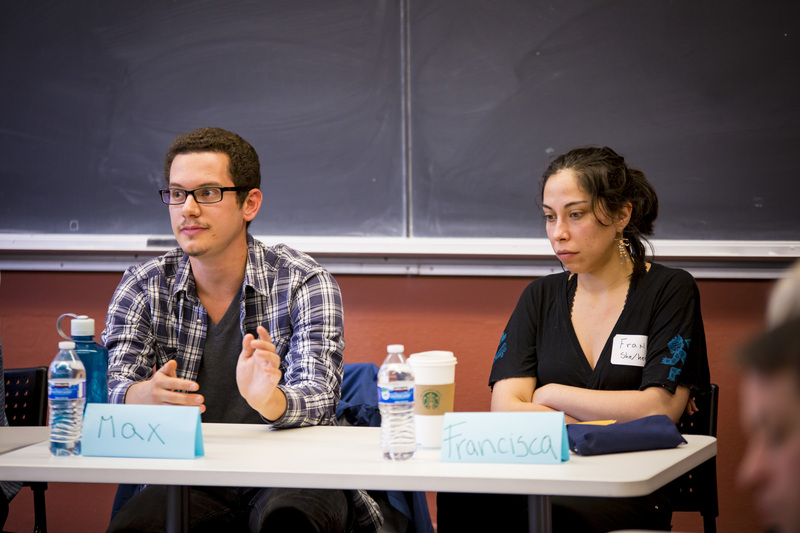 Francisca Gomez, PhD student in the Sociology department at UW and originally from Chile, commented that from the undergraduate level, students in Chile are expected to contact and ask for help to their advisors. “In Chile, students are expected to contact their advisor when they need it. I had a very close relationship with my advisor, and we created a type of relationship where I felt safe giving my political opinion about very controversial topics. It is important to notice that this cannot be generalized. It occurred that my advisor was someone that committed to a similar political ideology than me”. Slightly different, Max Schneider, PhD student at the department of Statistics originally from Ukraine and who conducted his master studies in Germany, explained that doctoral students are the main responsible to contact the adviser to ask for help or to provide support, and although classically the relationship between advisor and advisee has been very hierarchical in Germany, this dynamic changes dramatically across institutions. “I took classes at different universities in Germany while I was doing my master, and it was very obvious that the relationship with the professors changed according to the size and level of prestige of the university. Usually, the level of hierarchy among advisor/advisee was higher at more prestigious universities”. Ricardo Pedregal, doctoral student in Material Sciences at the University of Guadalajara- Mexico and visiting fellow at UW, commented that his experience as an advisee working with professors in different countries falls into a similar dynamic where students are expected to raise the question and advocate for themselves, but at the same time, these interactions also vary across western countries, institutions, and disciplinary fields. Ricardo, who studied his master in three different institutions in Italy, Poland and France, said that within the same field of study there are aspects of the national culture that shaped his experience as an advisee. “In Italy, every day I would have coffee with my adviser to talk about my research and/other related topics. In Poland, the environment was very kind and welcoming, but the relationship was never as close as an Italy”. These student voices indicate the advisor/advisee relationship is not only influenced by national (civilizational) cultures, but also affected by institutional characteristics and disciplinary norms. At the same time, their voices call the attention to the existing institutional spaces that allow us to recognize and understand better the background and expectation of students that grew up in different societies.